Most people, if they know anything at all about Dispensationalism, believe that it really only affects the area of end-times prophecy, and certain books of the Bible such as Daniel and Revelation. However, it is not possible for this to be the case since each individual area of theology is inextricably connected to and intertwined with each of the other divisions of Biblical Theology, and its systematized cousin, Systematic Theology. If that is true, as I believe it is, then there should be a Dispensational view of each of the major divisions, and subdivisions of Systematic Theology. One of these subdivisions is found in the area of the Christian life, or also know as the spiritual life. I will attempt to demonstrate that truth in this series of posts. Although the topic of the Christian life is one that generates much debate, and could easily occupy many more pages than will be used in this series of blogs, rarely do systematic theologies dedicate a specific chapter or section to it. Therefore, our goal will be to develop a general understanding of the issue in brief and to discover the basic mechanics found in Scripture concerning how to experience what Scripture teaches concerning this doctrine. The major topic at hand is the origin and experience of the new life that begins when God's grace is applied to the person who exercises faith in Christ. The Christian life is a quality of life that is available to all those who believe in Christ, but is not necessarily experienced by every believer. It typifies what the normal Christian life is meant to be. As Lewis Sperry Chafer declared, "(It) is a life of no regrets" that "consists of having done the will of God." That description pinpoints the outcome of the Christian life while simultaneously implying what a careful study of Scripture proves to be true, that not all believers experience living out the will of God on a consistent basis. An important aspect of this post is the fact that it is being presented from a distinctly Dispensational viewpoint. In other words I am going to present a Dispensational view of the Christian walk, or spiritual life. That this is possible is a matter of disagreement for some. Yet, that there exists a Dispensational view of the Christian life is not only demonstrable, more importantly, it is biblical. As such it can be discovered through the hermeneutic principles commonly referred to as the grammatical-historical method of interpretation, which, simply stated, is the normal reading of Scripture. It is through the consistent implementation of this normal reading of Scripture that Dispensational theology is developed and it is through this method alone that the whole of Scripture may be properly understood including what it teaches concerning the Christian life. Before we dig more deeply into the subject of the Christian life we should first briefly examine the rationale behind the assertions concerning a Dispensational view of the Christian life. Charles Ryrie has identified the sine qua non, or absolute essentials of Dispensationalism. Two of these play key roles in reaching a Dispensational view of the Christian life. As has been previously alluded, Dispensationalism is first and foremost based upon a particular system of interpretation—the literal, historical-grammatical hermeneutic, otherwise known as normal interpretation. This reflects the first of Ryrie's essential elements. A Dispensationalist insists on using a consistent, literal or normal system of interpretation. The historical-grammatical hermeneutic system is not only the foundation of Dispensational theology it is the only way to gain a correct understanding of God's message to man. Mal Couch has offered a clear and concise explanation of this form of interpretation: "One must take the words in their normal, literal, plain, historical sense. Literal would imply the natural or usual construction and implication, following the ordinary and apparent sense of words rather than an allegorical or metaphorical sense." It is from the consistent use of a normal interpretation that the Dispensationalist reaches his theological conclusions. The same is true in regard to the subject of the Christian life. There are multiple reasons that this normal hermeneutic approach holds such influence over the development of the Dispensational view of the Christian life. For our study, one reason will suffice. A major point of contention that arises when discussing the topic of the carnal Christian is easily overcome by a normal interpretation of Scripture that is untainted by a theological system. It is clear from First Corinthians 2:14-3:3 that not only are there three divisions of men, but there are two divisions of Christians: those who are "spiritual" (2:15)  and those who "are still fleshly" (carnal). When this passage is viewed through the strict usage of a normal historical-grammatical hermeneutic, the proper view, as seen above, becomes obvious. Scripture clearly teaches that every Christian has the Holy Spirit indwelling him as part of His multifaceted ministry in our lives. Paul drives this truth home when he states, "But if anyone does not have the Spirit of Christ, he does not belong to Him" (Rom. 8:9b). However, Scripture also presents the truth that not every individual Old Testament believer had the Spirit and those who did at times fall under the influence of the Holy Spirit could just as quickly have the Spirit depart from them. This was obviously understood by King David as is attested by Psalm 51:11. David feared that the Spirit would depart from him because of his great personal sin and he pled with God, "Do not cast me away from Your presence and do not take Your Holy Spirit from me." As Couch explains, "This does not imply a loss of salvation for David but it tells us David feared the Lord would no longer be using him as before." On the other hand Christians in the present dispensation have no fear of the Spirit's departure for Christ Himself promised, "I will ask the Father, and He will give you another Helper, that He may be with you forever" (John 14:16). Therefore, by utilizing the grammatical-historical form of biblical interpretation it is discovered that there are major differences between Israel and the Church; the Spirit's relationship with the Christian is only one. Unlike the Old Testament saint, the Holy Spirit permanently indwells each individual New Testament saint who then always has the ability to have access to the Spirit's power and ministry. In particular, it is the ministry of the indwelling Spirit available to each individual believer that not only imparts life to the believer but also serves as the means by which the special and supernatural character of the Christian life may be experienced by every believer. As we begin our study we must first look at God's work in the life of the believer. He is the source of life for all creation in general (Gen. 1-2) and the source of eternal, spiritual life for those who are newly born by grace through faith in Christ (John 3:16; Eph. 2:8-10). 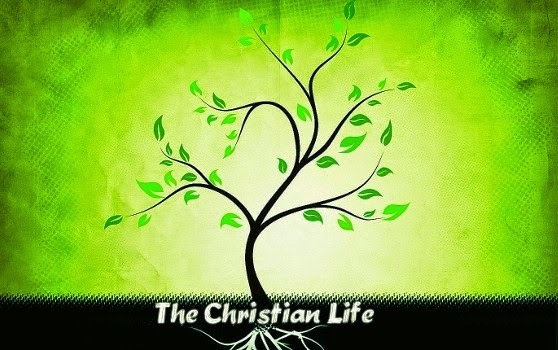 Since the Christian life begins with Him we should begin by examining His provision for the Christian life. This we will do next time. Lewis Sperry Chafer, He That Is Spiritual , rev. (Grand Rapids: Zondervan, 1967), 87. Charles C. Ryrie, Dispensationalism, Revised and Expanded (Chicago: Moody Publishers, 2007), 46-48. Mal Couch, An Introduction to Classical Evangelical Hermeneutics: A Guide to the History and Practice of Biblical Interpretation (Grand Rapids: Kregel Publications, 2000). All Scripture quotations taken from the NASB unless otherwise noted. Robert Dean, Jr., "Abiding in Christ: A Dispensational Theology of the Spiritual Life (Part 1)," CTS Journal 7, no. 1 (January-March 2001), http://chafer.edu/content.cfm?id=367#01 (accessed July 10, 2012). Mal Couch, The Coming of the Holy Spirit (Springfield, MO: 21st Century Press, 2001), 28.